The welcome reception will take place on Sunday, July 28 beween 6 and 9 pm at the bar/restaurant "Proviant-Magazin" in Mainz. 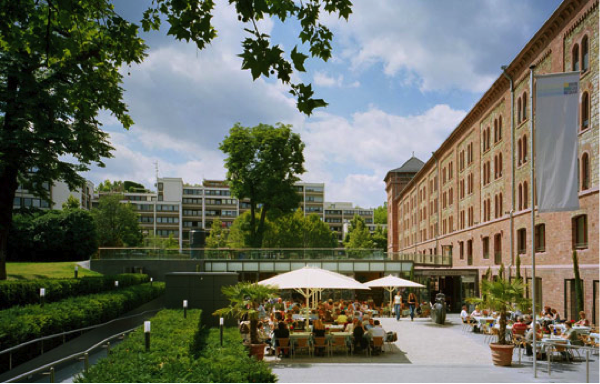 The large and historical building is within walking distance of most hotels and the central station (see map). Drinks and fingerfood will be provided. The reception also offers the opportunity for conference registrations. Via Münsterplatz and Schillerstraße (route planner on the right), parking garage „Schillerplatz". Bus and streetcar 50-52, 54-57, 60-63, 71, 90-92, stopp „Schillerplatz / Juwelier Willenberg“.